It's been cold and rainy here in Seattle - typical for us in winter, of course. We're also having an epidemic of flu and colds in the area. Much of my time this week has been spent wandering around the house in search of hot tea, or collapsed on the couch sniffling and watching Netflix. I'm glad I have my Nightmare Before Christmas slippers to pad around in. I wanted to show you a few options in case you don't have any cozy Nightmare-themed slippers of your own! 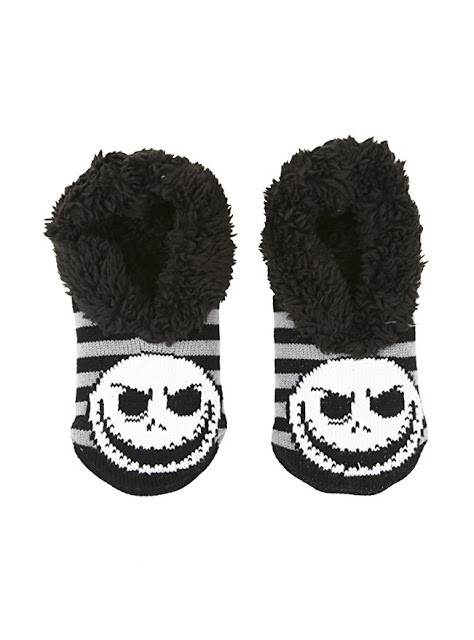 These Jack Skellington slipper socks are for adult sizes. They're cozy, washable, and less than $20! 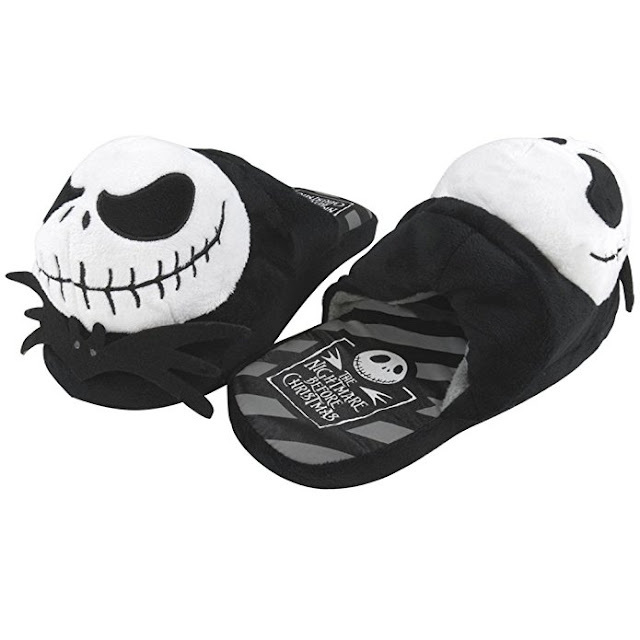 These Jack Skellington plush slippers are meant for juniors. 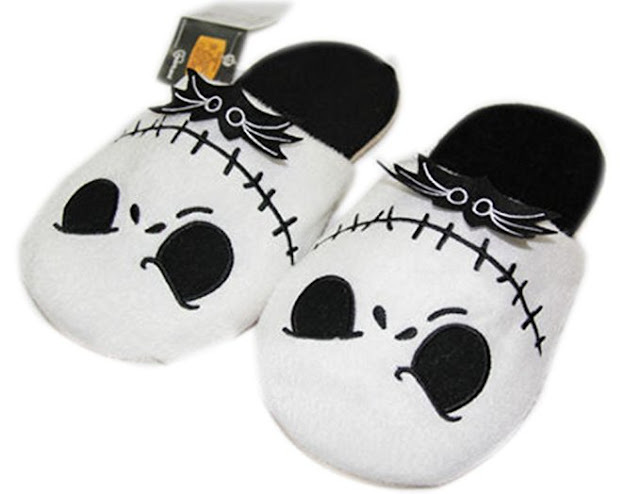 Here's a pair of plush Jack Skellington slippers in white. Prefer Sally? 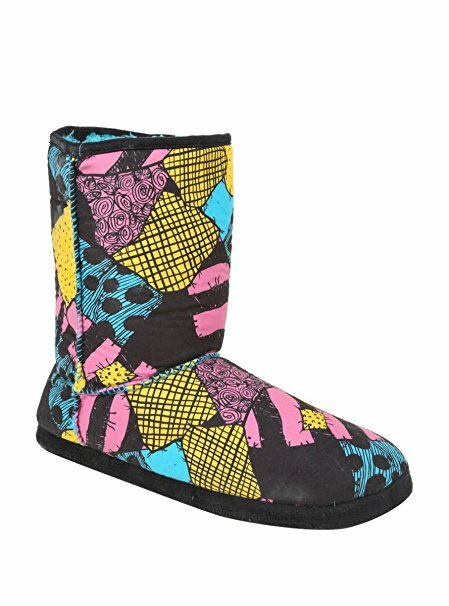 Here is a colorful pair of Nightmare Before Christmas Sally slipper boots to keep you toasty around the house this winter. 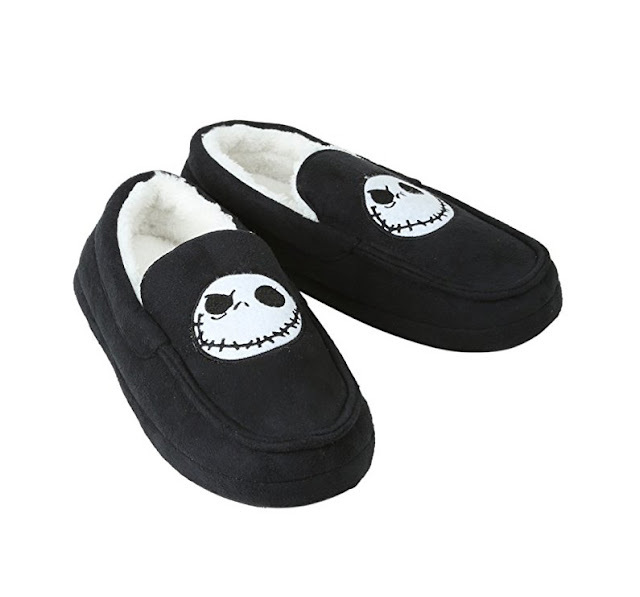 If you like slipper boots, how about this pair of Jack Skellington ones? 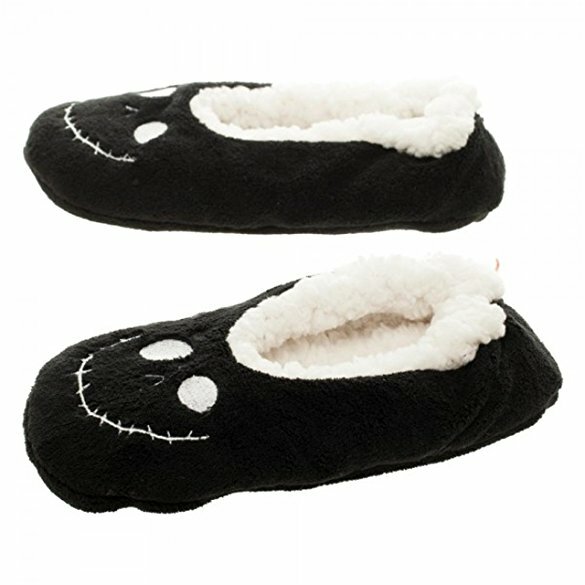 Here's my personal favorite: Jack Skellington cozy slippers. Love the expression on his face! The last thing I wanted to show you was these mens' Jack moccasin slippers. Might make a great gift for a goth boyfriend or husband!